Dell Optiplex 320, 330, 360, 740, 745, 755, 960. Computer & Server Parts. Printer Parts & Supplies. Laptop DC Power Jacks. 1 x 4 Pin Floppy/CD Drive Connector. 1 x 24 Pin ATX Main Power Connector. 1 x 4 Pin ATX 12V Power Connector. Part Number: 0NFMX. DP/N 0NFMX, 00NFMX. Max Output: 320W. - Dell Optiplex 390 Mini Tower. - Dell Optiplex 790 Mini Tower. - Dell Optiplex 990 Mini Tower. - Dell Optiplex 3010 Mini Tower. - Dell Optiplex 7010 Mini Tower. 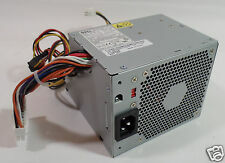 Dell Optiplex GX320 Precision 390 375W Power Supply Unit PSU N375E-00 UP173 Brand: Dell Part Number: UP173 MPN: 0UP173, CN-0UP173 Model: N375E-00 Description: New Dell Optiplex GX320 Precision 390 375W Power Supply Unit PSU N375E-00 UP173 Type: Power Supply Unit PSU Input: 100-240V ~7.0A 50-60 Hz Max. Output Power: 375W Cooling: 1 Fan Compatible Product Line: Optiplex, Precision Compatible Model: Dell Optiplex GX320 Precision 390 Condition: Manufacturer Refurbished This item will be Shipped exactly as shown in the picture.​. DELL Optiplex GX320 620 740 745 755 Power Supply MH596 X9072 L280P-00 TESTED! P/N :WU133. Compatible Part Number：HK595 N804F PW114 XK376 PF3TR. Compatible Model:For Dell. Max Output P ower :305W. Give us a chance to make things right for you, we will do our best to provide a satisfying solution for you. Dell's Part Number: 0X9072 / X9072. Output Power 280W. Fully Load Tested. For Administrative Use: 55604. Product Details. MPN AA24120L P9550 0P9550. Manufaturer's Part Number: AA24120L. Dell's Part Number:0P9550 / P9550. Output Power 280W. Location: 7772. Manufacture Model Number:A280P-00. Opening a case can escalate a minor problem into a larger problem and normally takes longer to resolve. 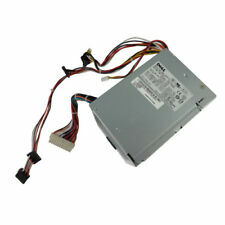 Dell Optiplex Mini Tower PC 320 330 360 580 740 745 745c 755. en500w for dell optiplex 760. Upgrade solution to provide more power capacity and make your system operate in lower noise level. Honey-comb rear vent structure for improved ventilation. 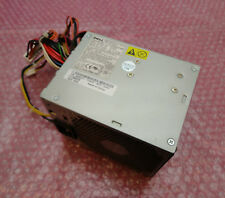 Up For Sale is aLot of 2 DELL Optiplex GX320 740 745 280W Power Supply MH596 X9072 NH429. Please check with your country's customs office to determine what these additional costs will be prior to bidding/buying. Part Number: M8805. Compatible Part Numbers: M8805. Max Power Output: 305W. Dell Optiplex 320, 330, 360, 740, 745, 755, 960. We have tested Batteries from virtually every manufacturer on the market. 1 x 4 Pin Floppy/CD Drive Connector. 1 x 24 Pin ATX Main Power Connector. Manufacturer Part Number: MK9GY H305P-02 D305A002L JH994 CY827 WU133 PF3TR. Part Number: MK9GY. 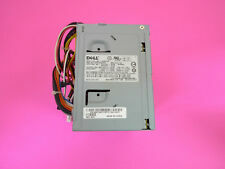 Genuine OEM Dell OPTIPLEX 320 580 740 760 Desktop PC. D235PD-00 B235PD-00 H235PD-00 M618F M619F. DELL Optiplex GX520 GX620. Optiplex 210L 320 330 360 380740 745 755. Output Power: 235W. Fit models Due to the secure reasons. D235PD-00 B235PD-00 H235PD-00 M618F M619F. Output Power: 235W. DELL Optiplex GX520 GX620. Optiplex 210L 320 330 360 380740 745 755. Fit models Due to the secure reasons. It includes these output connectors: 24(20 4)pin x 1, P4-12V 4pin x 1, SATA II 15pin x 3, Molex 4pin x 3, and FDD 4pin x 1. 0° C ~ 50° C on Output Load ;. Max Output Power 320 Watt. MTBF 100,000 Hours on Maximum Load at 25°C.